@Ankerofficial recommend some good websites in the OP. I used spreadshirt to design mine in 2017 and will most likely use that again. @ajsanders2004 it all depends on what program you’re gonna be using buddy. I don’t know too much about it either but I learn as I go along and get the job done that way. On YouTube type in “how to design a t shirt” and it comes up with a ton of videos that shows different ways of getting the job done with step by step instructions. @Jesse_Hernandez1 Spreadshirt is what I used in 2017 as well and got the job done nicely for me and helped me become one of the 20 winners. 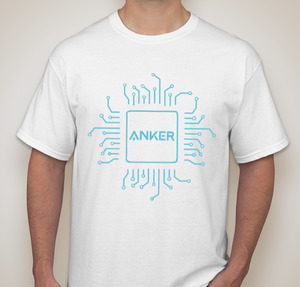 The logo with the Anker products in it, it's just genius!! That is a very smart / wise advise! lol. I didn't set the bar high, but thank you for the compliment! I'm looking forward to seeing all the design submissions over the next 2 weeks. I'm an Art Director in my company's creative department, so I do stuff like this for a living. It was a nice break from the daily grind. I would like to see the community doing this! They said who is choosing the winner already. Some of the designs are looking great! Can wait to see who wins. I guess not! Anker deserves the decision. expect to see some voting activity among the community members in the near future. 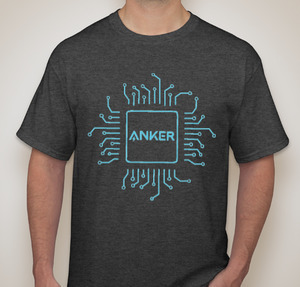 If @AnkerOfficial is saying "we", that means it is referring to Anker because @AnkerOfficial represents the company. The community would choose if they said "the community". @presh welcome to the madhouse... errrm I mean the community Steph! Shhhht, don't tell him our "company secret"